Imagine an enchanted fantasy world of timeless characters and magical moments where nothing goes right for the clumsy toymakers, Stannie Dum and Ollie Dee. When notorious scoundrel Barnaby demands to marry the beautiful Little Bo Peep, guess who secretly emerges as the bride. Based on the original 'Babes In Toyland', this movie is a dazzling spectacle of 6-foot wooden soldiers, Mother Goose characters and the beloved team of Laurel & Hardy. Colorized Version, Cartoons, Short Films & Toy Commercials. While I am sure this is considered a classic in it's own right... I found it to be uninteresting and over acted. Sure there was some entertaining scenes in it. But for the most part I found myself watching the clock and waiting for it to be over with. Filled with original music and dazzling special effects, this restored and remastered 50th Anniversary Edition of The Muppet Christmas Carol will become a holiday tradition your family will treasure all the days of the year. A Christmas Carol has always been my favorite holiday story. Not only is this a version of that wonderful story... it is a very fun version. Oddly this is the first time I ever seen this version. And I must say I am glad that I recently added it to my collection. It's a Wonderful Life... It's a Wonderful Film! This is one of those films that I have seen so often on cable that I plainly got sick of seeing or hearing about it. So I haven't seen it in a very long time. Because of that I forgot how fantastic a film it is. It is a great, true classic story. One I couldn't imagine being any better then what it is. 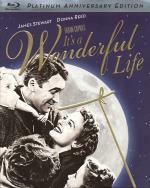 Both Jimmy Stewart and Donna Reed was fantastic in this film... as was the rest of the cast. If by some strange chance you never seen this film I urge you to give it a chance this Holiday season.. I am sure you wouldn't be sorry. Boo Boo and Yogi reunite with friends Snagglepuss, Quick Draw McGraw and the gang for a big city Christmas pic-a-nic in the park Join the merrymaking, but get there before the basket is empty! The Flintstones, Huckleberry Hound, Augie Doggie and more also join the Jellystone gang, making this a Christmas caper full of animated favorites for the whole hungry family. The Hannah-Barbara gang get together for Christmas and brings together a father and daughter while they are at it. Nice little nostalgic look at the characters I grew up watching. 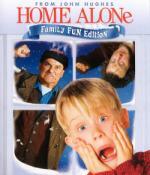 Accidentally left behind when his parents rush off on their Christmas vacation, eight-year-old Kevin McCallister (Macaulay Culkin) embarks on a hilarious, madcap mission to defend the family home when two bumbling burglars (Joe Pesci and Daniel Stern) try to break in — and find themselves tangled in Kevin's bewildering battery of booby traps! This is one that I haven't seen in many years! I can't believe this movie is 27 years old! I used to see this one on cable every year at back when it first came out... but for some reason I haven't seen it on much at all anymore. I am glad I got the opportunity to see it again... there is many good laughs in it... but I must admit that it wasn't quite as funny as I remembered it being. Though I do see myself watching it again next year.